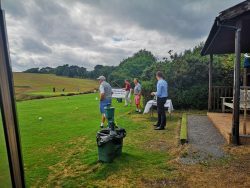 The postponed East Devon Golf Club Captains’ Charity Day event took place on 15th August and we were pleased to again be a sponsor for this much anticipated event. 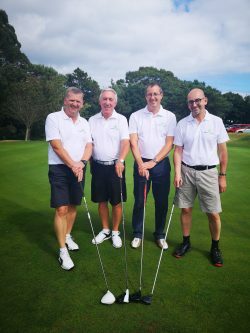 Our team Marcus Quick, Peter Bennett, Steve Tutchings and Simon Cornwell, took on the course which is regarded by many as one of the finest courses in the region. 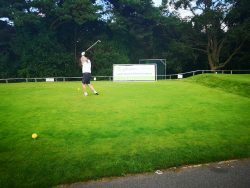 It’s easy to see why it is reviewed as one of the top 100 golf courses of the British Isles with such breath-taking views across Lyme Bay. 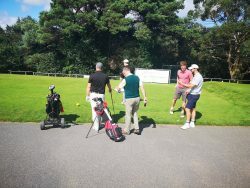 The team were a little nervous at tee off but, despite the distracting beauty of the Jurassic Coast, they were able to hold their heads high with a mid table finish. 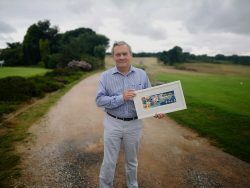 In addition to sponsoring a hole at the event we donated a picture by local artist George Hutchinson of Coastal Impressions. George’s bold colour interactions showcase this special part of the world, the image seemed very apt for a Club situated in such a stunning setting and the image will be used for their future fundraising ventures. We can provide a conveyancing quote. Receive the compensation you deserve. 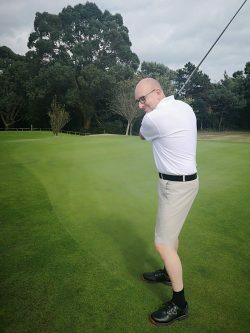 Gilbert Stephens is the trading name of Gilbert Stephens LLP which is authorised and regulated by the Solicitors Regulation Authority (no. 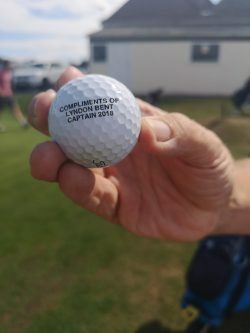 536070) and Gilbert Stephens Financial Services Ltd which is authorised and regulated by the Financial Conduct Authority (no 579899). 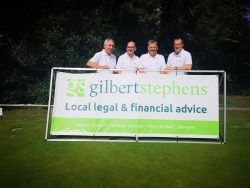 You will be now taken to the Gilbert Stephens Financial Advice website.